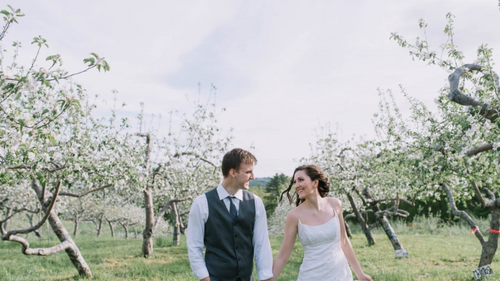 For the privacy and casual feel of a backyard wedding with the charm of a Bavarian style home just a short walk from Lake Winnipesaukee, this venue has you covered. 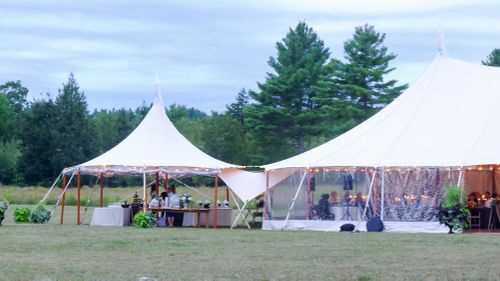 The main lawn creates an intimate space for tented receptions and guests can wander down to the lake's edge for a view of the water and mountains in the distance. After the reception, guests can enjoy roasted marshmallows or drinks by the bonfire onsite. 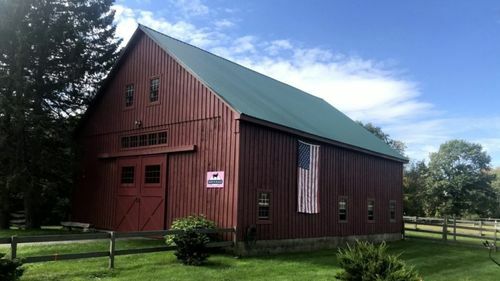 The large Bavarian home sleeps eighteen guests comfortably, meaning you and your closest friends can turn your entire wedding weekend into a casual escape. 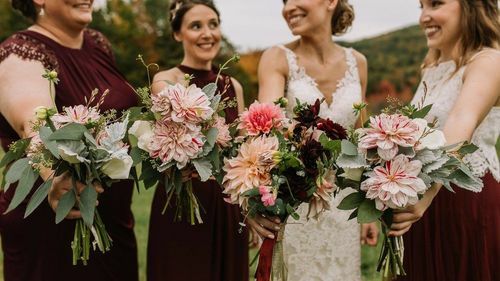 This venue's private setting surrounded by woods means that your guests will still have the casual and private feel of a personal backyard wedding at this venue. Luckily, because of the beauty of the local area there are plenty of hotels, restaurants and shops nearby for your guests. In the summers, the local area is packed with tourists enjoying lake activities; and in the fall, people come from miles away to see the vibrant fall foliage against the blue water. 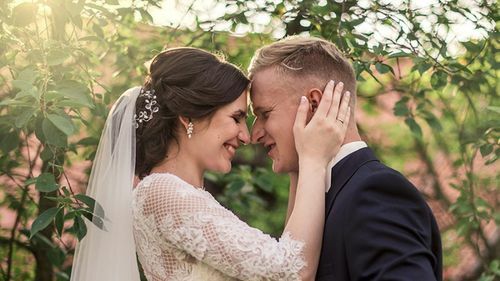 But when guests arrive to this venue, they will be welcomed by a sense of privacy and the personal touches of the wedding setup you designed. Changing Rooms - Includes 5 bedrooms and 3 full bathrooms. 1 half bathroom available for wedding party use. Restrooms - Overnight guests only. Parking - Up to 20 Cars. Internet Service - Guest WiFi available for overnight guests. Cellular Service - Full service. Kitchen - Residential kitchen only. Includes prep and wash area, dishwasher, oven, range or stove, grill, refrigerator and freezer with easy access and close to reception site. Fire Pit - Firewood provided. Grill - Gas outdoor grill. Electric Power - Residential grade. 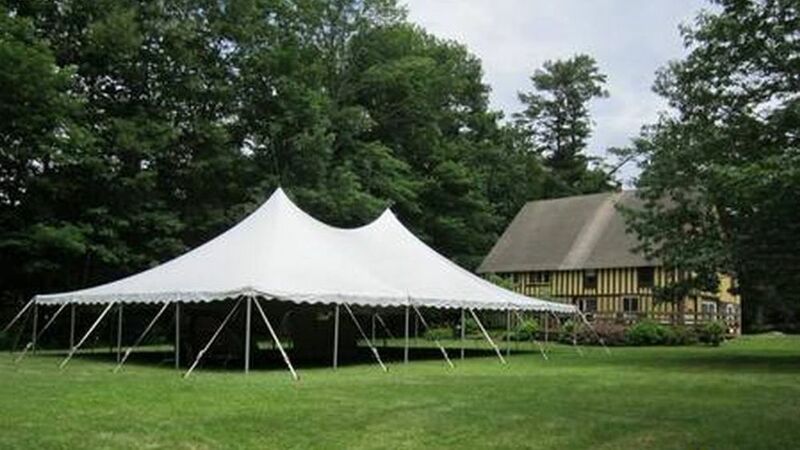 Limited availability at ceremony and reception site. Master Bedroom - King size bed. Bedroom 2 - King size bed. Bedroom 3 - King and Queen sized beds. Bedroom 4 - four twin beds that can be converted into King beds. Bedroom 5 - 8 twin beds (bunks). Smoking Policy: No smoking indoors. Smoking outdoors in designated areas only. Decorations: No residual adhesive left behind. No nails, staples, tacks or other items that would leave a hole. Fireworks: Permitted with prior approval from local fire department. Trash and Recycling: Couples must consolidate in on-site dumpster.